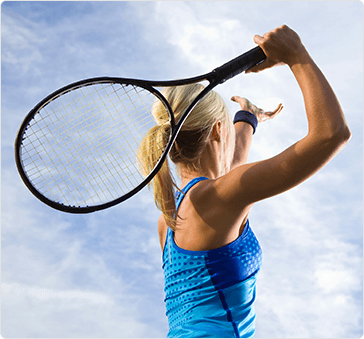 When you experience a shoulder or elbow injury due to sports injury, trauma, or overuse, the doctors at Kentucky Bone & Joint Surgeons in Lexington, Kentucky use a careful history, physical examination, and diagnostic imaging to accurately identify the problem. After diagnosis, we develop a comprehensive, personalized treatment plan designed for optimal patient outcomes. We utilize conservative treatments whenever possible, including viscosupplementation and intra-articular steroid injections. When surgical intervention is necessary, our doctors will educate you to ensure that you fully understand the procedure and post-operative instructions. If you need shoulder joint reconstruction, our surgeons use minimally invasive surgical methods whenever possible. Using careful techniques and innovative non-narcotic pain management techniques, we are dedicated to reducing recovery times and helping you return to normal activity as soon as possible after shoulder replacement, revision, or other surgical procedure. During surgery, the damaged portion of the affected joint is removed and replaced with an artificial joint, allowing you to resume your active lifestyle. For effective shoulder and elbow treatment call (859) 276-5008 or request an appointment online at one of our convenient locations today.